This entry was posted in Education, Educational Resources, Educational Technology and tagged Copyright, Creative Commons, Ed Tech, Education, Educational Resources, Educational Technology, Free Educational Resources, open source on October 2, 2012 by Jennifer Carey. This article was also very helpful for those of us that blog. If you have other suggestions, I would love to hear them Michael! Well written. Never guess you grew up in a family of lawyers. Yep, all about the legal aspects even in education! 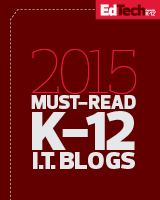 Great post – I will definitely be sharing it with the middle school teachers at my school! Thanks Colin!! I hope everything is well across the Pond!